While we commend Rykaart’s scientific approach to the issue, we do have to take a little onus with his final tallies. Though his infographic breaks down the deaths in detail, his ultimate conclusion is that The Walking Dead has had 1,216 fatalities, while Game Of Thrones has only had 704. But those totals both take into account non-human character deaths as well, meaning every single walker killed on The Walking Dead is included in the total. When you look at just human deaths, Game Of Thrones has killed 609 characters compared to The Walking Dead’s 209. Now, of course, there are other factors at play here, too. 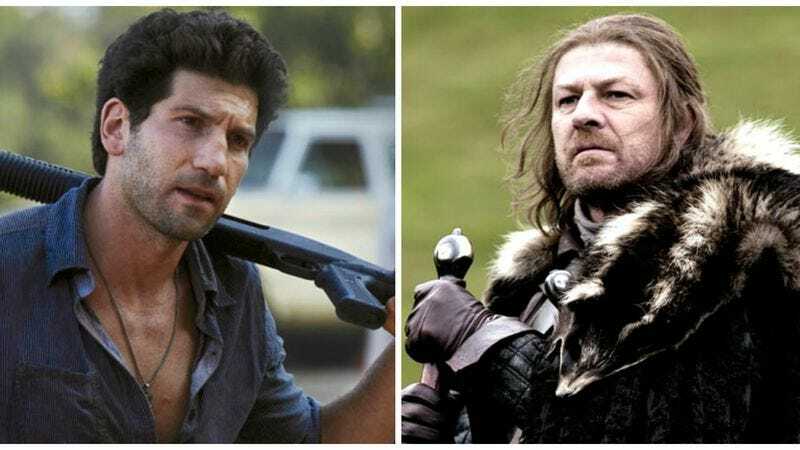 Game Of Thrones has whole armies and villages available to be slaughtered, while the world’s population has been severely decimated by The Walking Dead’s zombie apocalypse. But purely in terms of the number of human beings we’ve seen die on screen (or be killed just off it), Game Of Thrones is about three times as brutal. Perhaps that lends credence to our out-there theory that The Walking Dead is actually the less cynical show.